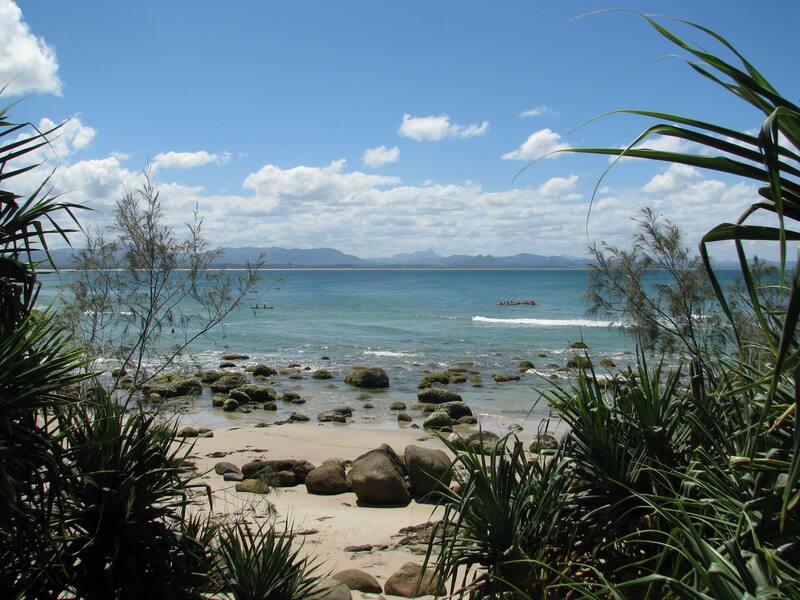 Byron Bay is a place of great natural beauty and as such it has a lot to offer people who need to connect with nature. As an eco tour guide I’ve been living and working, connecting people with nature here in Byron for the past 7 years. So I’ve come up with a top ten nature based experiences that shouldn’t be missed when visiting Byron Bay or by locals. This list is just my top ten and is in no particular order. 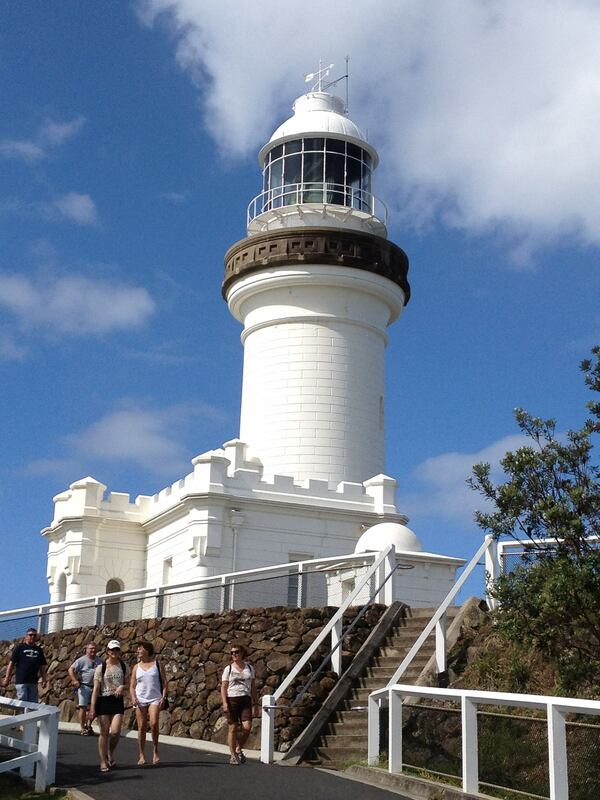 If you only do one thing in Byron you must see Cape Byron. The views from the cape are nothing short of spectacular. You can also see the migrating humpback whales (June-Oct), dolphins, turtles, rays, sharks. On land you often see swamp wallabies, loads of different birds including figbirds, blue faced honey eaters, brahminy kites, lewins honeyeaters, brush turkeys to name but a few. The NPWS run tours inside the lighthouse most days 10am-4pm, the tours are run by volunteers and are subject to availability. 1. Walk: there is a great walking track that does a 4km loop around the cape (starting and finishing at Captain Cooks Lookout on lighthouse rd, add another 2-3kms if walking from town), it enables you to really experience nature and keeps you off the road. You do need reasonable fitness as it is quite steep in sections and take water. 2. Drive: If you are not up for walking and have a car you could drive up, it costs $7 to park your car at the top, beware though, you can’t always get a parking spot. 3. Bus: Byron Easy Lighthouse Tours runs daily, small group Tours. $25 for a 2 hour tour and $7 each way for a shuttle. Kayaking with the dolphins is an quintessential Byron nature experience. You don all the safety equipment and paddle out into the bay with the expert guides. Paddling around the bay you learn about the local environment while looking for dolphins, whales (June-Oct), turtles etc. You don’t have to be an expert paddler, but it helps if you’ve paddled before and have a reasonable level of fitness. It can quite exhilarating as you paddle through the surf break. I’ve done this a number of times, once we saw 8 whales from the kayaks, one of which swam underneath us – very cool. There are two companies who run this tour. I recommend Go Sea Kayaks Tours run twice daily, weather and conditions permitting and costs $69pp. Imagine exploring the Australian rainforest at night, searching for nocturnal wildlife without disturbing them with a torch? Arguably one of the best uses for military technology found to date. The Night Vision Walk is a truly unique experience – the only one of its kind in the world! You use Night Vision Goggles to observe Australia’s nocturnal animals in their natural habitat, see a constellation of glow worms and after your walk enjoy a hot chocolate gazing up at the starry night. Heaven! You usually see 5 species of animals that include: pademelon, possum, tawny frogmouth, melomys, leaft-tailed gecko, frogs, micro bats, occasionally they see koala, owls, gliders. The Night Vision Walk runs on Mondays, Wednesdays, Thursdays, Fridays and Sundays. Min 2 max 6, the cost is $99pp. As the most easterly point in Australia, Byron gets a great close experience of the annual migration of the humpback whales. During the whaling years the number diminished to a few hundred, but since the moratorium on whaling the 1980’s, the number have climbed back to more than 16,000. The humpback whales migrate from Antarctica to Hervey Bay and the Whit Sundays from June to October each year. The best time to see them in July-August, where you’d almost guaranteed to see whales and if you’re lucky get to see breaches, flipper slaps and general frolicking. There are a few ways you can see the whales. 1. Cape Byron (good option for those who get sea sick) 2. Whale watching tours, Byron Whale Watching (may get your feet wet getting in and out of the boat) cost $89pp or Blue Bay Whale Watching (ex Brunswick Boat Harbour), cost $85pp. I have done this several times from a boat and numerous times from Cape Byron, you do get closer in the boat, but it is still very cool from land. 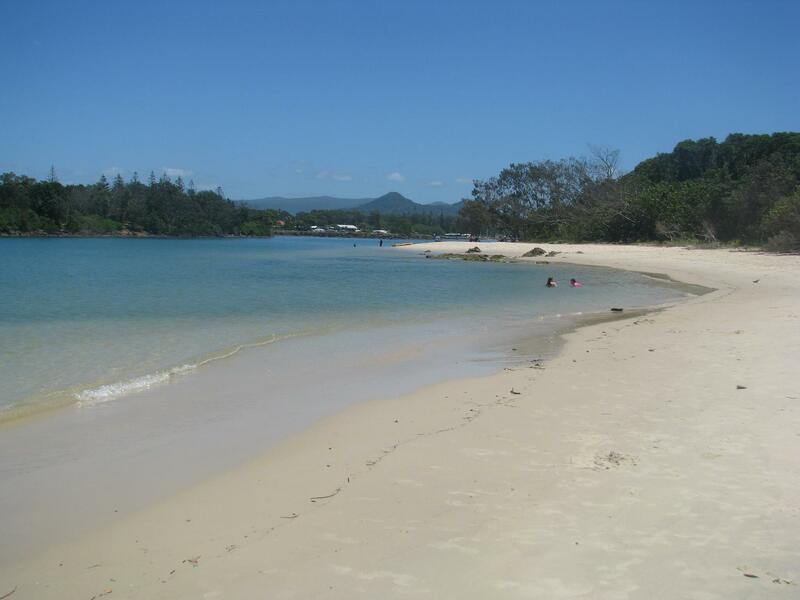 Brunswick Heads is about 17km north of Byron Bay (10km if you walk along the beach). You can catch a bus, drive, go on a tour (Beyond Byron Tour, Byron Eco Cruises and kayaks) You can explore the river in a number of ways. 1. walk the foreshore 2. hire a kayak or kayak, SUP, canoe or boat from Brunswick Buccaneers 3. the best option is to go on a Byron Eco Cruise they will pick you up from your Byron Bay accom, take you on either a 1.5 hour cruise up the river for $30pp or they do a 3 hour cruise and kayak tour for $60pp, both of which are excellent ways to experience this majestic river. 4. In May each year you can join the 1200+ paddlers in the Mullum to Bruns Paddle. Minyon Falls and the untouched Minyon valley makes you feel like you have gone back in time to when dinosaurs roamed the earth. The valley with its ancient rainforest vegetation gives it all a very ‘Jurassic Park’ feel. Minyon Falls are awesome as they rise over 100m out of the rainforest, towards the sky. It’s magical! All this is on the doorstep of Byron Bay (45 mins drive). You can either view the falls from the lookout (easy 50m walk on a board walk). The more adventurous may decide to take one of the walks to the bottom of the falls, the walk is moderate to hard. You can swim at the bottom of the falls, but beware, the water will be quite cold and there are slippery rocks under the water. If you are an experienced walker you may choose to do this walk on your own, please check your car hire agreement (you may not be permitted to drive on unsealed roads), check a map and make sure you are doing the walk you intend to do (one walk is 4 km the other is 8km), check the conditions (this is not a good walk in the rain), wear shoes, take enough water and leave enough time (short walk 2 hours, long walk 4 hours). I do offer guided walks to the bottom of the falls, the long 8km walk costs $149 pp, the short 4km walk costs $99pp. Both include; transport, expert guide, sandwich lunch and afternoon tea. Byron has some beautiful beach walks, most beach walks are easier at low tide. The easiest is Main beach to the Pass, which is about 2km return. Other walks include: Main beach to Belongil (2km), Belongil to Brunswick Heads (10km 0ne way), Broken Head to Cape Byron (7km one way). Broken Head also has some nice walks. If you get down to Lennox Head, the Lennox to Skennars Heads walk is quite spectacular. The Flat rock to East Ballina is also a great walk. if you are doing one of the longer walks think about how you will get back, some of the public transport in this area is a bit wanting. I usually get someone to drop me off at the furthest point and then walk back. There are some great local tracks to go mountain bike riding both in the rainforest and on the beach. Broken Head has some good trails, as does Arakwal National Park, Nightcap National Park. There is also a mountain bike park just outside of Byron. All of those you will need your own bike and helmet. Alternatively you can go with Byron Mountain Bike Tours, I’ve gone on a few rides with these guys, they have great bikes and experienced guides who can people of all levels, their scenic coastal bike ride, goes along the beach and into Broken Head and costs $75pp, their Rainforest Adventure Tour takes you on the trails at Nightcap National Park and costs $125pp. Cape Byron Marine Park has some truly awesome diving and snorkelling experiences. Cape Byron Marine Park cover about 22 hectares from Brunswick Heads to Lennox Head. Local marine habitats include exposed and sheltered sandy beaches, rocky shores, rocky reefs, submerged pinnacles, small rocky islands, coral communities, riverine estuaries, coastal creeks and lakes, and sandy seabed habitats. Personally I go snorkelling around Brunswick Heads, becasue it is right outside door, but the best underwater experiences can be found near Julian Rocks. 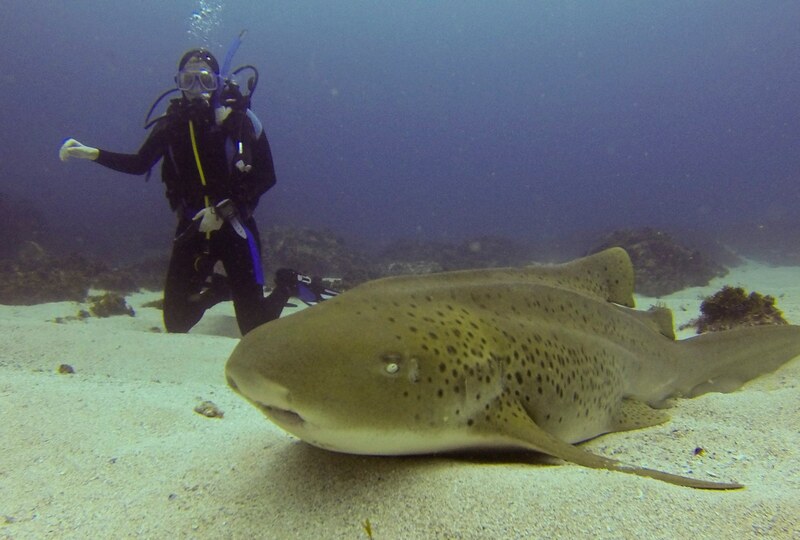 At Julian rocks you can see; sharks, rays, turtles, eels, starfish, heaps of fish and corals. Byron is a biodiversity hotspot. In and around Byron you can see swamp wallabies, koalas, water dragons, loads of birds rainbow lorikeets, scaly breasted lorikeets, blue faced honey eaters, figbirds, plus the abundant marine life, dolphins, whales, rays, sharks, turtles. In the sub-tropical rainforest surrounding Byron you can see, pademelon, eastern yellow robin, rufus shrike thrush, logrunners, albert’s lyrebird, yellow tailed black cockatoo, scrub wrens. In the estuary near Brunswick Heads you can see: pelicans, spoonbill, white faced heron, egrets, brahimny kite, white bellied sea eagles, osprey, plus engagered birds such as pied oyster catcher, beach stone curlew and migratory birds such as the bar tailed godwit, eastern curlew to name but a few. The best place to see koalas is near the koala care centre at Lismore, they also do daily tours of their facility for $5pp. You can usually see swamp wallabies on the Cape Byron walk. The best way to see the estuary birds at Brunswick Heads in on the Byron Eco Cruise boat for $30pp including Byron pick-ups . I also run a Wildlife Tour where you will see koalas, kangaroos, wallabies, pademelon, flying fox, plus loads if birds in their natural habitat for $99 pp including a picnic lunch in the rainforest, transport and guide. Gary Opit (local environment scientist and presenter of Wildlife Wednesday also runs a bird watching tour. On our Night Vision Walk we usually see at least 5 species of nocturnal animals including ; pademelon, possum, tawny frogmouth, frogs, bats, leaf tailed gecko, melomys for $99pp. Please note: Wollumbin/Mount Warning is a scared site for the Bundjalung people and the request that uninitiated people not climb the mountain. You can see the mountain on many activities or places, like Cape Byron, Kayking with Dolphins, Mullumbimby, Uki, Border Ranges, Springbrook, Lamington NP. So whether you live in or near Byron Bay or just visiting, there are plenty of great, world class nature-based activities to enjoy.